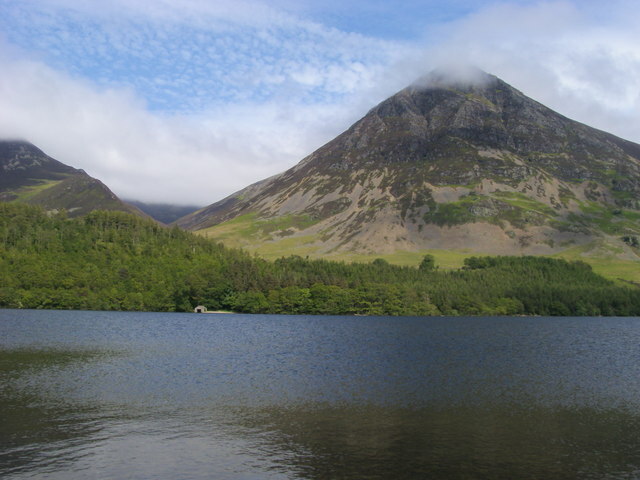 Crummock Water is a lake in the Lake District in Cumbria, North West England situated between Buttermere to the south and Loweswater to the north. 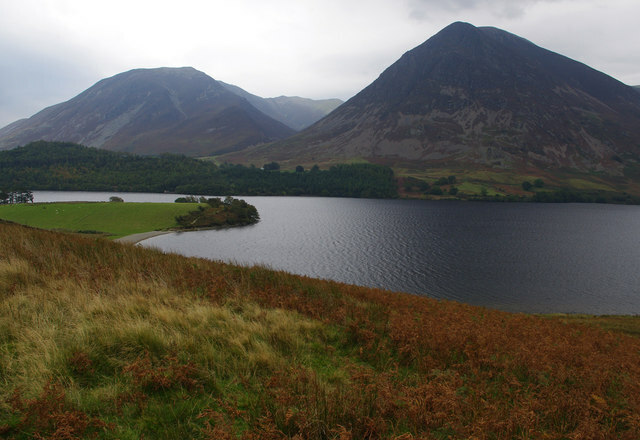 Crummock Water is 2.5 miles long, 0.75 mile wide and 140 feet deep. 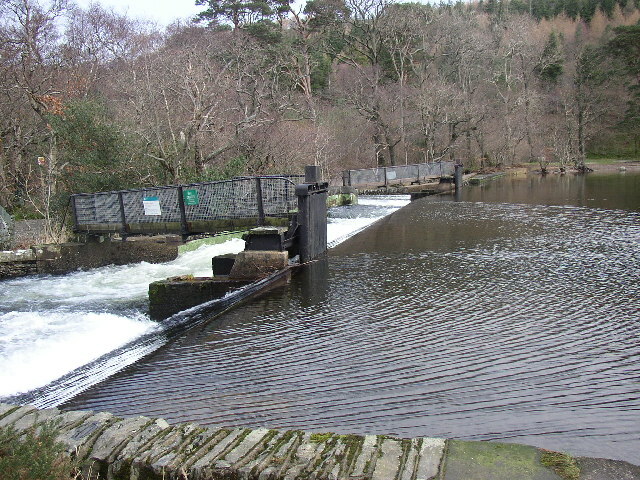 The River Cocker is considered to start at the north of the lake, before then flowing into Lorton Vale. The hill of Mellbreak runs the full length of the lake on its western side; as Alfred Wainwright described it 'no pairing of hill and lake in Lakeland have a closer partnership than these'. 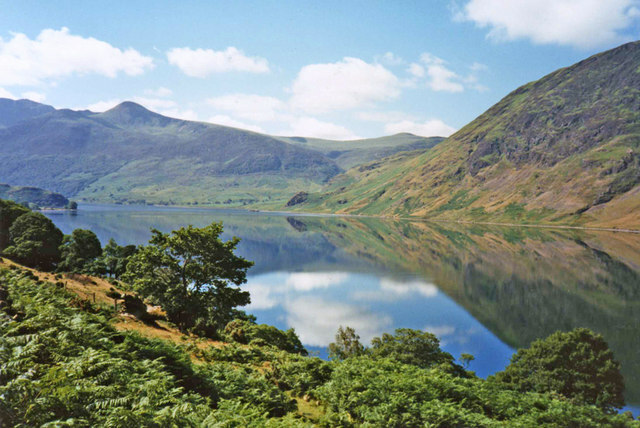 "The meaning of 'Crummock' seems to be 'Crooked one', from British" (Brythonic Celtic) "'crumbaco'-'crooked'". This may refer to the winding course of the River Cocker, which flows out of the lake, or refer to the bending nature of the lake itself. 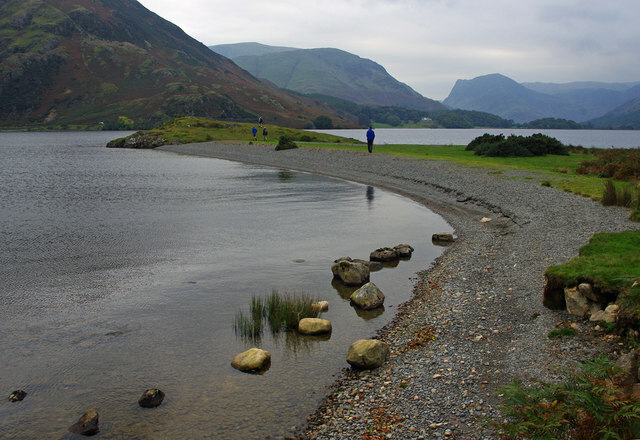 The word "'water' is the main Lakeland term for 'lake'"
The lake is owned by the National Trust. Scale Force, the highest waterfall in the Lake District, feeds the lake and has a drop of 170 feet. 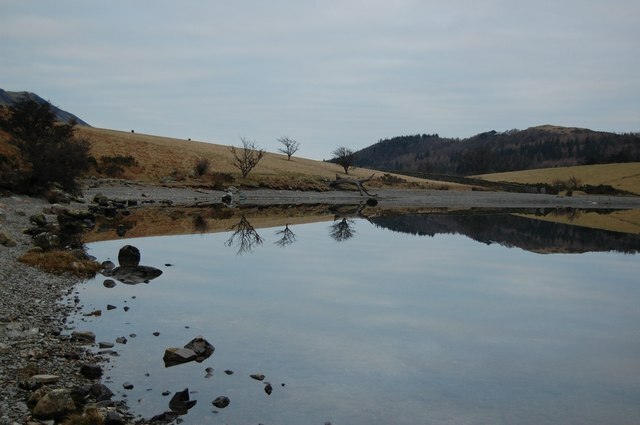 Water from the lake is treated at Cornhow water treatment works, near Loweswater, and is distributed to the towns of Silloth-on-Solway, Maryport, Workington, Whitehaven, and many smaller towns, villages, and hamlets in the surrounding area for drinking and all other uses. 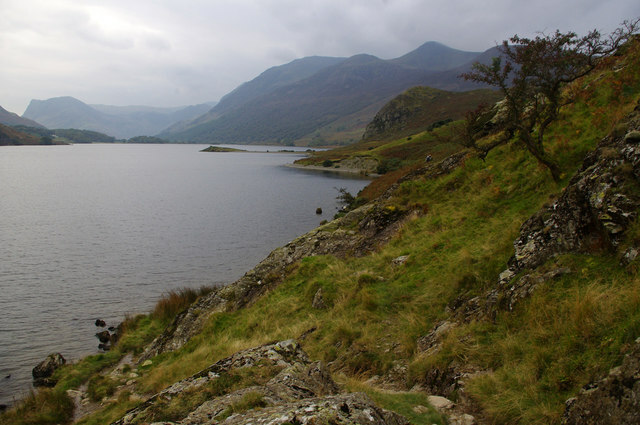 Crummock Water gained attention in 1988 when the body of Sheena Owlett was found in the lake. It later transpired she had been murdered in Wetherby, West Yorkshire. 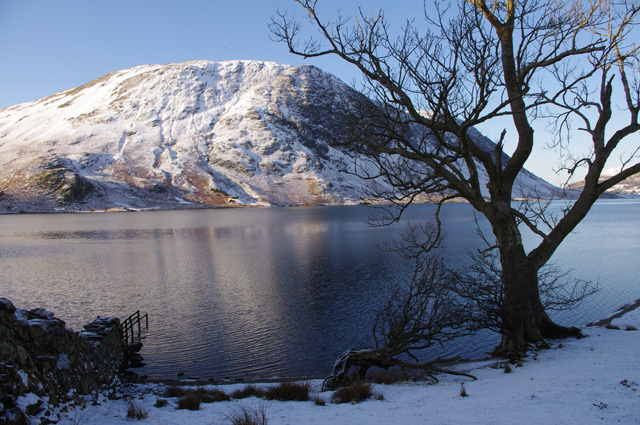 Visit the page: Crummock Water for references and further details. You can contribute to this article on Wikipedia.